The most exciting news this week is that since we last spoke, we have a release date for Legion! Now we know what we’re dealing with in terms of wait time, for those of us who aren’t in the alpha and haven’t seen new content in awhile. 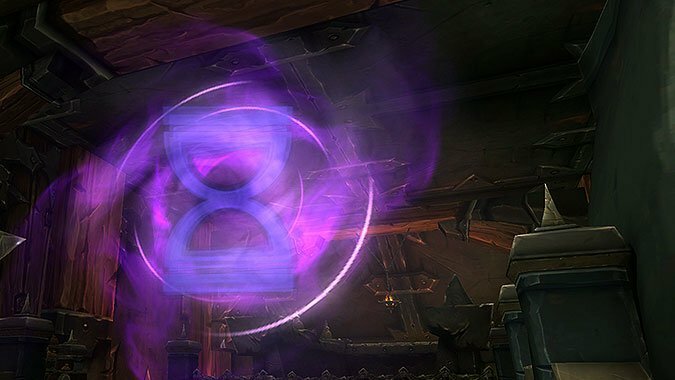 By the time you’re reading this, there’s about seventeen weeks until Legion’s launch date. If you account for the pre-expansion patch, that’s usually about a month ahead of time so let’s say thirteen weeks until the patch will remove any limited time items. Depending on how you’re feeling at this point in the expansion, that length of time could seem interminably long or a fairly short deadline to accomplish your “to do” list! I’m here to help you with that, so you can pinpoint things that’ll help you pass the time or zero in on your “must accomplish” goals. The money-making component of Garrisons will be removed before Legion launches for sure. But for the time being, you can continue sending your followers on gold missions and raking in as much cash as possible. Perhaps you’d even like to aim for making a million gold! Legion is also increasing the gold cap. I don’t know if this is considered a “Magely” thing to do, but the finer things in life require cash flow and it never hurts to have more gold. This may seem daunting if you haven’t even begun them yet, but thirteen weeks is still a reasonable amount of time to complete Challenge Modes if it’s something that you’re interested in. The rewards you stand to gain are the title “the Indomitable” for completing Challenge Warlord: Bronze, a Challenger’s War Yeti for Challenge Warlord: Silver and access to some unique weapon models for Challenge Warlord: Gold. Whatever level of Challenge Modes you’re looking to complete, you still have time to get it done if you put a group together soon! You may think that Mythic Dungeons are obsolete now since our gear will quickly be replaced when Legion launches, but don’t forget about our heirloom trinket, the Orb of Voidsight if you don’t already have it. This trinket has a chance to drop from any Warlords of Draenor mythic boss and it scales from level 100 to 110 so you can use it for leveling up in all of your demon killing endeavours. Completing the Emissary of War quest on available weeks will also give you an Iron Fleet Treasure Chest with heroic Hellfire Citadel gear in it, in case you’re still looking for a last few elusive drops. 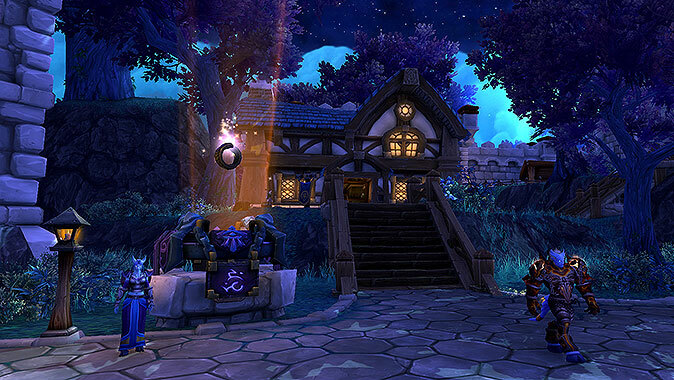 It’s a good time to figure out what rewards or modifications you might want to make to your Garrison before they go the way of the Mists of Pandaria farm (when was the last time you visited?) Of course, Garrisons have the advantage of having their own Garrison Hearthstone and so when Legion starts you’ll still have an easy way of visiting yours. But you’re not likely to be there nearly as much anymore, so you may as well make changes to it that reflect how you want it to exist from this point forward. If you had specific buildings because they were more useful than others – knock them down, build a Mage Tower! You can also slowly start recruiting specific garrison followers if you’re interested in a particular theme. Once you won’t be doing many missions any more, you may as well fill your garrison with as many Mages as possible, or go with a racial focus. 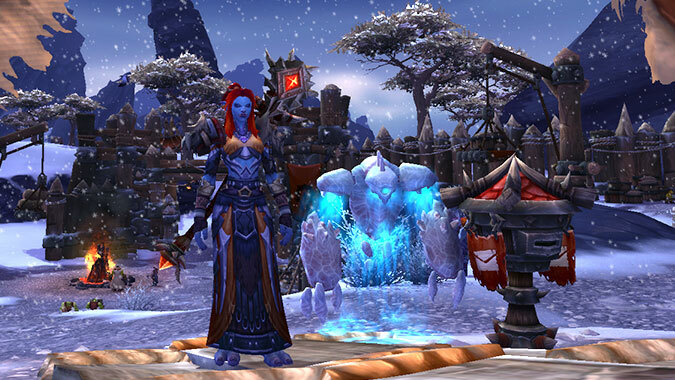 My garrison is 100% Draenei, for example. You’ve got seventeen chances before Legion to start recruiting whatever it is you want. You don’t have to level or even activate them right now. You may as well make the Garrison reflect your personal tastes as much as possible if you haven’t already! For the completionists in the audience, there are many activities which earn Valor. You can then spend the Valor on things like upgrading your Nithramus, the All-Seer or your other gear. If your only concern is leveling once Legion hits, your best bet will probably be to spend any Valor earned exclusively on Crystallized Fel to upgrade your ring. As with most legendaries, you’ll probably hang onto it at least until you hit level 110. Although nowadays many meta raiding achievements retain their related mount and title rewards, we know the Grove Warden mount is definitely time limited and it will be going away. If it’s something that you’d like, now’s the time to find a way to get your hands on it if raiding isn’t something you regularly do. The Friendship Moose group is still organizing runs if you don’t have access to any other methods! If you aren’t worried about time sensitive rewards but you’d still like to complete some meta achievements, consider whether you’ve completed achievements such as Glory of the Draenor Hero and Glory of the Draenor Raider. 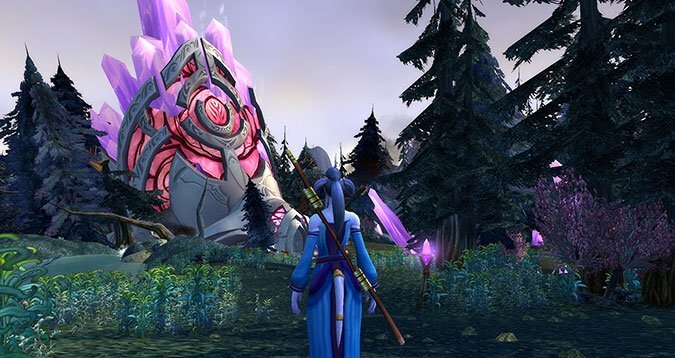 This could even extend back to previous expansions, where you could gather a small group where soloing is trickier such as Glory of the Pandaria Raider or solo older raids that you might have missed out on. This actually plays right into the previous activity. With the upcoming transmogrification system in Legion, we’re going to have an easy and space-free way to keep track of all of our transmog gear! I’m so excited. My inventory can’t wait. I may shed a tear over all of that free bagspace. But in the meantime, there’s so much transmog gear to collect and you only have to store it for a short time. So if inventory concerns have held you back in the past, now is the time to get out there and make sure your wardrobe is as dazzling as your personality, Mages! If you aren’t sure where to start, consider perusing some Mage item sets and see what catches your eye. Or avoid the frustration and just start doing some older dungeons and raids and see what drops. There’s even a new Legion Wardrobe addon to help you prepare! Speaking of time (which is also kind of our thing) there’s still Timewalking weekends for those of you nostalgic for different dungeons and raids. Timewalking gives you an opportunity to step outside the “same old, same old” and enjoy content that you haven’t seen for awhile in a time where new content isn’t forthcoming. You can also get use out of your older gear, bust out that Dragonwrath, Tarecgosa’s Rest and pair it with a Xing-Ho, Breath of Yu’lon and still wear your Nithramus, the All-Seer, too. I assume if you’re reading this you probably already have a Mage, but sometimes you just can’t get enough of a good thing. You can level a Mage on an RP server if that’s something you’d like to try. If you like PVP and don’t already play on one, you could give a PVP server a shot. Or you could visit some friends who don’t play the same faction as you and level an opposite faction Mage. Sometimes it’s nice to see how the other side lives, and if you’ve only ever played one faction then there’s a good chance you haven’t seen a large chunk of the game’s lore. Besides, you haven’t lived until you accidentally try to fly into a town you’re used to going to and suddenly all the guards are trying to kill you! Good times. If your idea of fun includes “a vast collection,” you have plenty of options available to you still in Warlords of Draenor. Chase those elusive battle pets you may not have found yet, or consider adding some mounts to your collection. 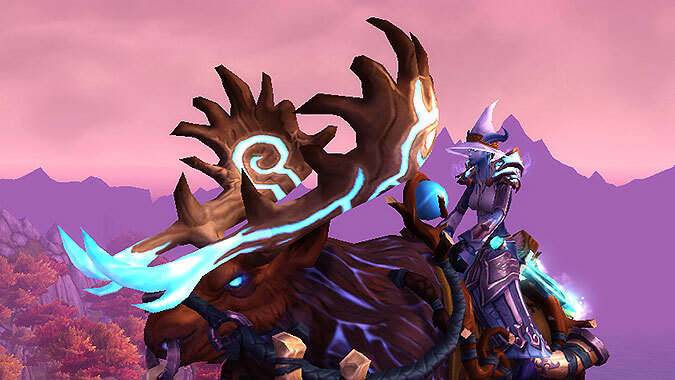 Mount collecting may have some crossover with raids, dungeons and other group activities but there are still plenty that you can acquire on your own, too. Make sure you have all the secret Mage spells you could possibly want. Now’s a good time to try out a Mage spec you may have neglected or otherwise experiment. With the way that Artifact weapons will work in Legion, it’s a good idea to think about which spec you’d like to continue with. While you’ll be able to obtain artifact weapons for other specs at a faster rate, you’ll still have the most progression on your initial choice. There’s actually plenty more things that you could spend hours doing – chasing achievement points for all kinds of different activities, PVP, questing, titles, Brawler’s Guild, and I’m sure there are others! Whatever it is that you enjoy about WoW, you should be able to find something to keep you busy for the next few months until we can dive into all that new content.